David Clifford was not majorly vocal when he first entered the Kerry dressing room last year tells teammate Stephen O'Brien. "Maybe not so much in front of the team, but talking football you can tell that he thinks about it a lot," O'Brien said at the launch of the 2019 Allianz Football League. "He told me before that he goes to a lot of club games. He has ideas about what way the ball is coming in and stuff like that and runs - he has brilliant movement off the ball. He clearly has a ridiculous football intelligence as well. "He has ferocious talent, it's unbelievable. I know he's only a young fella, but he doesn't look young. He's huge. He's well able for the physical side of things. "His ability is there for all to see. He really kicked on in the Super 8s for Kerry in the championship, but I think everyone inside there knew that was in him. Even when the games weren't going as well in him, it doesn't take a genius to tell that he's a class footballer." Clifford had a stellar first senior season, earning himself an All-Star in a faltering Kerry team. While he wasn't the loudest presence initially, his personality has become apparent. He's a mighty man altogether. In fairness to him he's very down to earth. We were having a bit of a sing-song there and he's unbelievable at singing as well so he just has it all. He won some golf tournament as well last year but he wasn't eligible. He's just one of these fellas that has it all. I'll come back to ye if I find anything that he's not good at. A new season and new manager has brought a buzz to the Kerry camp. Some of the youngers players may hold a slight advantage over their older teammates regarding their new boss. Peter Keane was in charge for the last three of Kerry's five consecutive All-Ireland minor titles. Older players have been picking the brains of the younger generation. Over the winter four more hugely experienced Kerry players - Donnchadh Walsh, Kieran Donaghy, Darran O'Sullivan and Anthony Maher - called time on their careers. O'Brien says that his generation - he made his Kerry debut in 2014 - have stepped into that leadership vacuum. "Subconsciously, I think you do that when you don’t see the older brigade around. There is no reason why the younger players can’t be leaders; their opinion matters too. They have their own experiences and so much experience of winning after all the minor success. "They're demanding success. Definitely. Maybe when I was coming in you were just more of a choir boy, you were just doing what you were told. "But if they saw something that wasn't up to scratch I'd say they'd definitely call it out because they're winners." The inter-county famine is about to end, giving way to a nine-week feast of Allianz Football League action between the weekend after next and the four divisional finals in Croke Park on March 30/31. 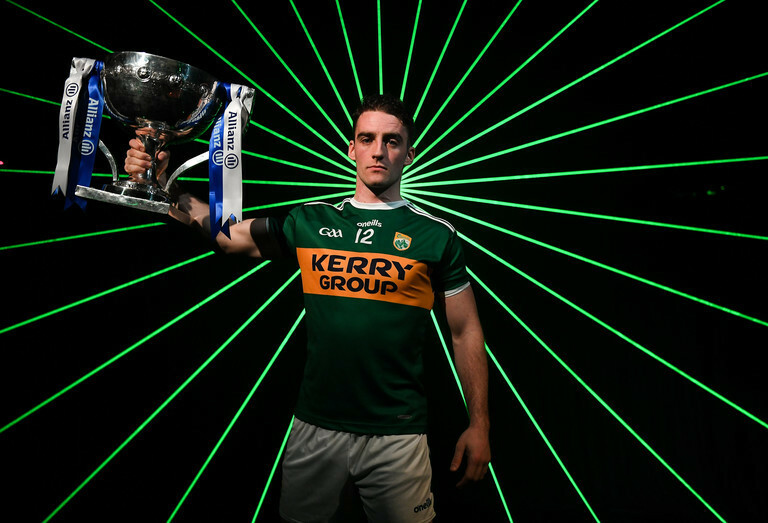 The exciting programme features 116 games across the four divisions in a campaign which will mark the 27th year of Allianz’ partnership with the GAA as sponsor of the Allianz Leagues, making it one of the longest-running sponsorships in Irish sport. In attendance at the Allianz Football League 2019 launch in Dublin were Ryan Wylie of Monaghan, Shane Walsh of Galway and Stephen O'Brien of Kerry.